Have different grain, greatly increased the friction strength. Can effectively stimulate the sensitive parts of the women, make women get sufficient stimulation, Help get women o-rgasm faster and more durable. Also can effectively delay the male e-jaculation time. The shaft of this extension is covered with grain which provide fantastic internal stimulation. Great as a beautifully textured sleeve for your favourite. 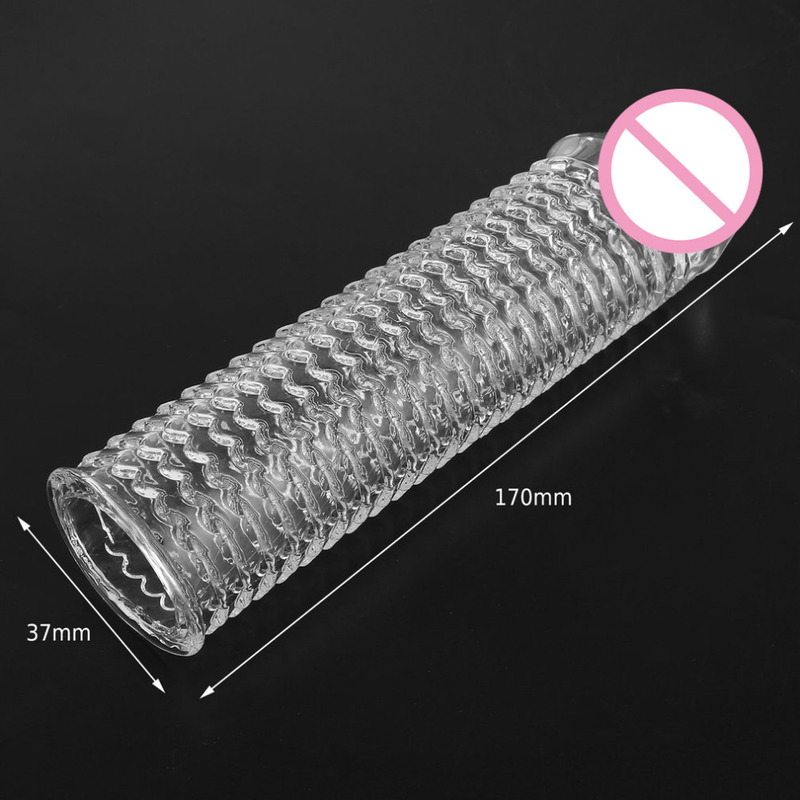 Adds an extra to your length, helping you to further pleasure your partner.